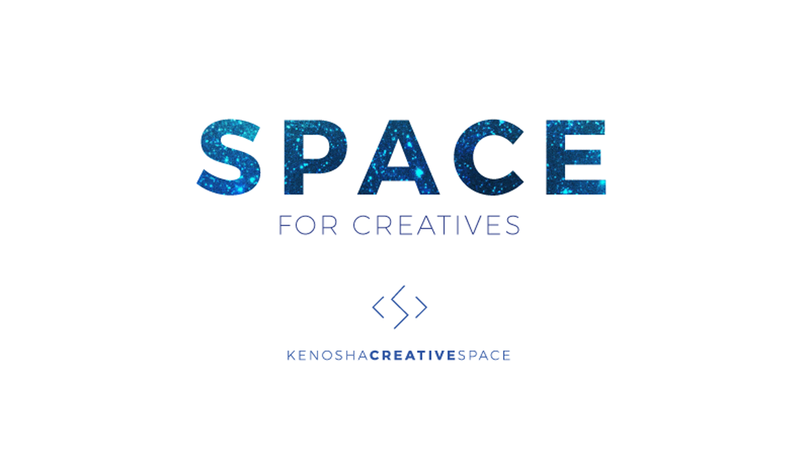 The Kenosha Creative Space (KCS) is more than a physical space for creatives to gather and create. 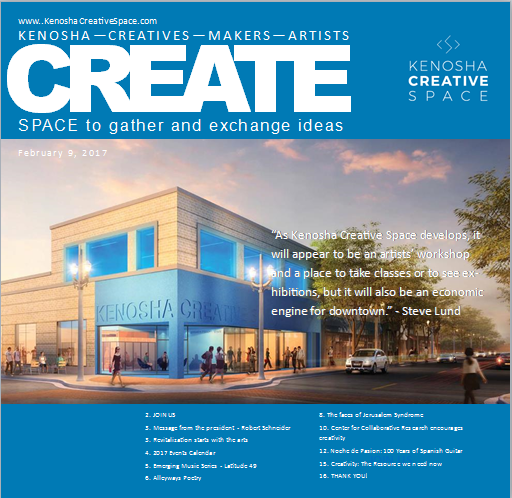 We want the KCS to be a resource for all members of the Kenosha Community. Our goal is to provide programming that seeks to educate and inspire participation, and enjoyment of the visual , literary, and performing arts. With this publication the KCS will begin to reach this goal. We hope you enjoy it.